An extract from Auberon Waugh's column, 'Rage'. Here he is in 1995 on the survival of the French village idiot, the humane and medical purpose of the House of Lords and Harold Wilson in old age. Thirty-two years ago, when the Waugh family started taking its summer holidays in the part of agricultural southern France they call the Pays d’Oc, every village in the neighbourhood had its village idiot. In those days, French villages were quite backward by English standards, and all the village washing was done by hand in a communal cold-water tub fed from a spring. It never occurred to anyone to lock the village idiot away in a special home for the educationally challenged, with idealistic, specially trained young women to talk to them slowly in patronising welfare accents. They just loped around the village, sometimes making a nuisance of themselves and breaking things, sometimes engaging people in conversation of a sort, but always accepted as what is nowadays called part of the community. A similar fate awaited those who lived too long and became senile. On sunny days, they were pushed out of doors, and anybody passing would greet them, receiving a grunt back, or the rolling of an eye, or more probably no acknowledgement at all. In the winter, they were kept indoors in the kitchen, wrapped in filthy sacking and left to dribble quietly in a corner until someone – the daughter-in-law, more often than not – went to spoon in some soup. It was not tremendously dignified, perhaps, by our modern ideas, but it was a great deal less gloomy than the rows of recumbent forms on drips, lying in a coma, recognising no one, turned once in the morning and once in the evening like newly cut hay. These forms represent our furthest advance in the science of caring for the aged. This is not just a reflection on our peculiar family relationships. It is institutionalised in the fabric of the nation. When distinguished oldies become senile, they are immediately withdrawn from view, not left babbling in the sun. 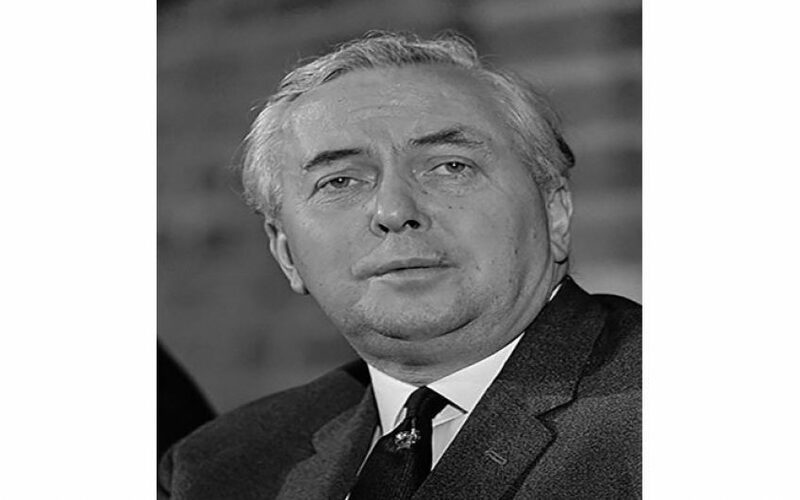 Harold Wilson was scarcely seen in his last five years, while he was suffering from Alzheimer’s. It seems especially craven to lock a former Prime Minister away in this fashion when we have a national institution called the House of Lords, specially designed for them to exhibit themselves. This is one of the most humane political initiatives in the world. When I visited the Upper House on business two weeks ago, I was surprised to see a very elderly peer pushed past me in an invalid chair with his jaw tied shut by a bandage over his head. I could not make out whether it had been put there because he had died or in order to gag him. In either event, it was much more humane to wheel him around than to shut him away in a funny farm or a mortuary. Which brings us back to Harold Wilson. A new theory going the rounds to explain his mysterious resignation in 1976 has it that he felt the first intimations of Alzheimer’s disease at the beginning of the year, remembered that his mother had suffered from it at the same age – sixty – and decided to resign on the spot rather than disgrace himself. He is thought to have given this explanation to Dr Thomas Stuttaford, a former MP who is now medical columnist for The Oldie and the Times. This seems to me most unlikely. I don’t believe he had the faintest intimation of Alzheimer’s any more than any of us do when we find we have temporarily forgotten our spouse’s name. He had the best part of another twenty years to live. Far more likely that he was threatened with exposure as a security risk unless he resigned by the then Director of MI5. That is what I have always maintained. The simple reason for all these problems of old age is that most of us are living far too long. There is one nostrum which keeps Alzheimer’s at bay which also, on average, shortens life by a few years. That is cigarette smoking. If Wilson had not felt bound to establish his proletarian credentials by smoking a pipe (like poor mad Tony Benn, but nobody will ever notice whether he has Alzheimer’s or not) but smoked cigarettes instead, he might not have lived any longer but he would not have died so shamefacedly nor so secretively. Everybody should be encouraged to start smoking cigarettes on their sixtieth birthday. If I become Minister of Health, I shall make cigarettes available on prescription from that date, along with cannabis. Wilson’s last years could have been made happier if he had received the right medical advice in 1976.